We like meeting new watch brands, and watching them grow over the years. Often, we’ll be in pretty close contact when things start up, and then as they take off, you sort of fall out of touch. Then, all of a sudden, it’s five years down the road, and you realize the brand has hit a pretty significant milestone for independent watches. 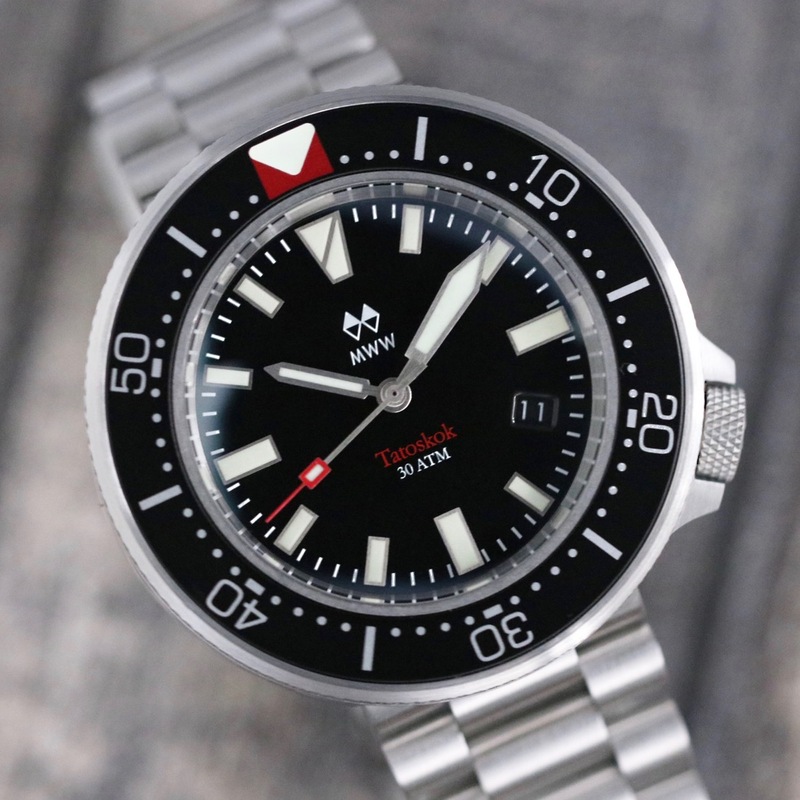 That’s what we’ve got with the 5th anniversary Manchester Watch Works Tatoskok. Over time, I’ve gotten to spend time with both the quartz and mechanical versions of the watch (you can tell them apart by the last letter of the name), and that’s what the brand has on offer here. Whatever you might prefer, for whatever reason, you can get your watch with either a quartz (Ronda 715li) or mechanical (Miyota 9015/90s5) movement. You might note that there are two different mechanical movements listed there. That’s because, should you opt for that one in your Manchester Watch Works Tatoskok, you can choose between date or no-date options. Date is where it’s at for me, especially as the date wheel is color matched (at least to the black dial). I also like that we’ve got a new bracelet showing up here, a president-style three-link with the same matte finish that the case has on it. This keeps things out of dress-diver territory, but you also won’t be worrying about smudges and the like when you, you know, are actually living life and using the watch.